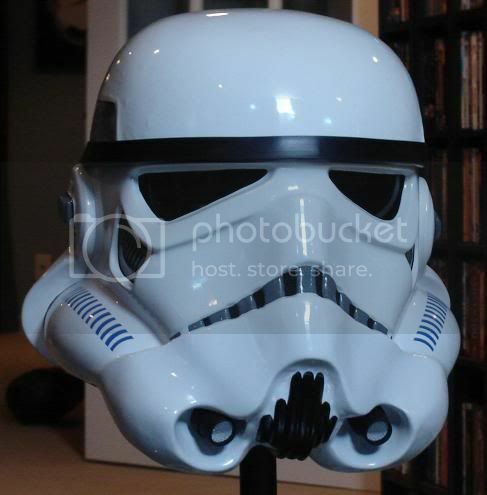 The Prop Den • Can anyone identify this Trooper Helmet? 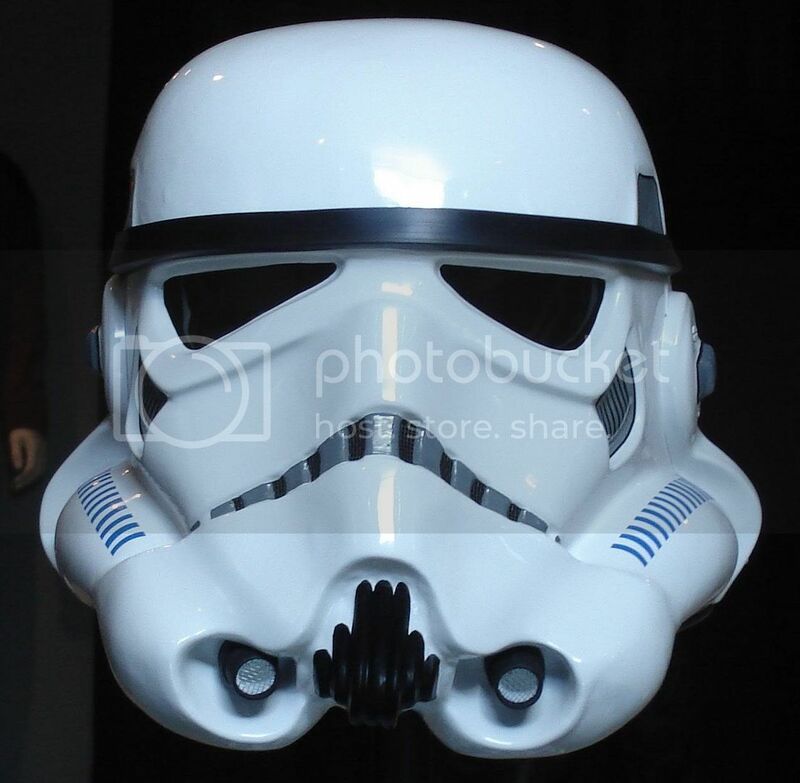 Post subject: Can anyone identify this Trooper Helmet? Can anyone Identify this helmet? I picked it up about a month ago for what I consider a great price but I can't place it. I can post any type of pic if it helps. Post subject: Re: Can anyone identify this Trooper Helmet? T*E recast??? it looks to me like its from the T*E line somewhere possibly cap. Is it painted or raw plastic?? 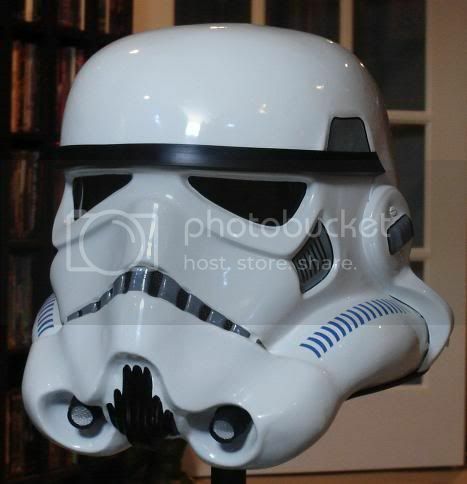 The helmet was formed from .60 ga. styrene. It primed and painted. The paint was then rubbed out and polished to a high gloss. Welder's safety shield material was used for the lenses, the mouth was screened and correct hovi-mix mic tips were used. The inside of the helmet is lined with a fabric-impregnated coating to give the thin styrene strength and density.It was finished off with a combination of hand painted details on the "ears", teeth, and vocoder along with the new Dave M TK-4510 decals. UK imported brow trim and correct "s" trim for the underside were also used.